Screen capture of Google Maps. Here is the first entry of my road trip from Miami, FL to Seattle, WA. I'm extra excited about this. 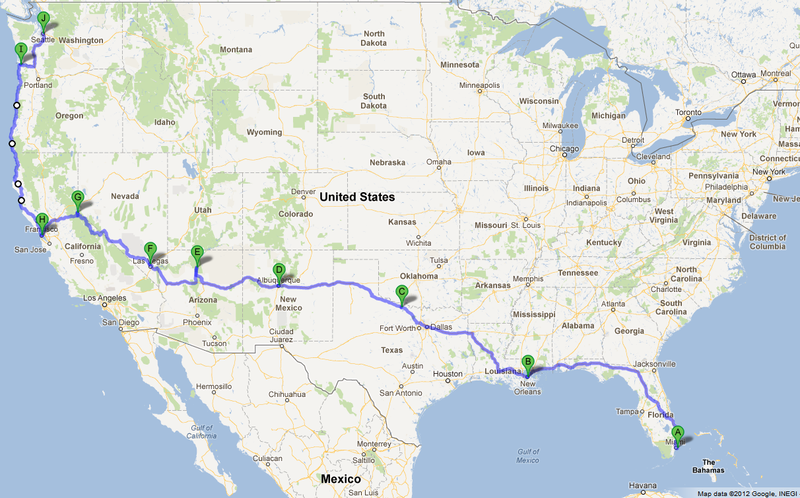 I've always wanted to do a very long road trip by myself. I will do whatever I can to update and write more sharing photos of my trip along the way. So keep checking back here to read and see what I've been up to.